You don’t always need a real estate attorney for a transaction-related question. More often than not, your realtor can provide you with the answers you seek; however, agents and brokers are not licensed to practice law. So, if you find yourself in need of negotiation assistance, get yourself a good real estate lawyer. This question has no straightforward answer, as attorney fees vary widely across the country. By and large, lawyers will charge a few thousand dollars for their services. The actual amount will be influenced by where you live, how much you want the real estate attorney to do for you, and how complex the purchase is. Before you enter any pricing agreement, make sure to carefully consider your budget and its constraints. Be upfront about what you can afford and remember to ask about the fees straightforwardly. As a general rule of thumb, expect a flat fee for simple matters, such as drafting an agreement, and an hourly rate (typically ranging from $100 to $300) from something complex, such as a negotiation. You might wonder why you need a real estate attorney for this. After all, you’re perfectly capable of negotiating the deal yourself. Be that as it may, you will still need a lawyer’s expert opinion in drafting the papers, to make sure they observe state laws. For instance, in New Jersey, any contracts not signed in the presence of a realtor are not legally binding. A real estate lawyer will be able to tell you if there are any glitches in your contract that need addressing, as well as add any necessary contingencies. There’s no safer way to find out whether or not a property title can be legally sold by its owner than by running a title search on the property in question. 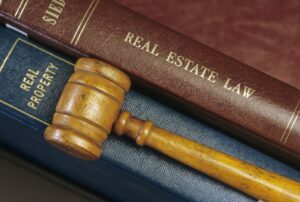 You can, of course, look for liens and judgments on your own, but a real estate lawyer would be able to pull it off much faster. Yes, but won’t it cost you more? As a matter of fact, it won’t. That’s because attorneys have established connections within title companies. Furthermore, should a title search reveal a lien or judgment on the property in question, a lawyer might be able to negotiate a lower price from the seller, based on the fact that they’re making you wait for longer until the deal closes. Finally, lawyers can also provide proof that the liens and/or judgments in question have been fulfilled. Without this condition being met, you would never be able to take out a mortgage on that property as its new owner. When a real estate transaction involves one or more trusts, corporations, or partnerships, the ensuing contract is often complex. A real estate attorney can draft a business agreement (or several) that are both in keeping with legal provisions, as well as within the terms of the involved parties’ charter agreements. More often than not, you will have to file a real estate deed at county/state level. It’s especially important to enlist the aid of a real estate attorney, when the transaction involves commercial property, or certain types of property that are not allowed. In both cases, a lawyer will help you navigate complex laws, regulations, and other forms of bureaucracy. They will make sure the building you need constructed goes through and they can also ensure you get a tax ID number from the state and register for tax purposes. Moreover, they can help get you a business license from the municipality, should this be the case. So, when do you not need real estate attorneys? When all you need is to buy or sell a single family home. According to most experienced real estate lawyers (the rare honest ones! ), they’d likely be a useless expense in such a case. But if you’re interested in an REO or short sale, then a lawyer will likely help. Several years of experience under their belt. A minimum of 1-3 years for a simple sale and 15+ years for a complex development. Also ask for their school credentials to make sure it’s accredited by the Bar. Relevant experience. Make sure they can handle cases like yours and that they’ve actually practiced in your state. A game plan. There’s absolutely nothing wrong with asking a lawyer to present you with a broad-stroke approach to your case. Beware those who provide vague, cocky answers, of the “Don’t you worry about it” variety. The team. In some cases, you’ll initially meet and discuss your case with an experienced senior lawyer, only to later find out that your case has been handed off to someone else. They might be a junior attorney, paralegal, or even someone with both law and real estate experience, but no actual law degree. Make sure to ask who you’re going to be working with, right of the bat.